2 years & up. 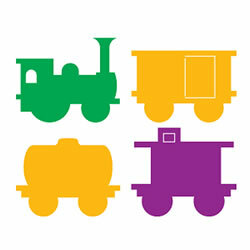 Toddlers will enjoy art because it is at their height. 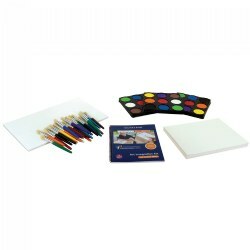 Adjust the height of the double painting surfaces from 8 1/2" to 16" high. Minimal assembly and folds flat for storage. 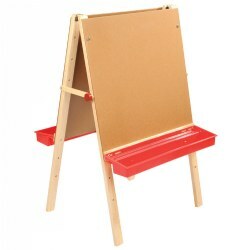 Easel is 40"H, work panel is 24" W x 24" H. Mat sold separately. 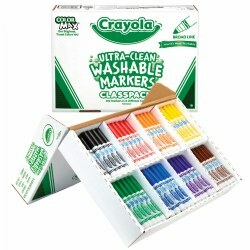 Bring vibrant colors to art projects with enough classic Crayola® markers for the whole class! 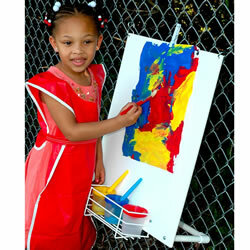 Color washes easily from skin and most fabrics. 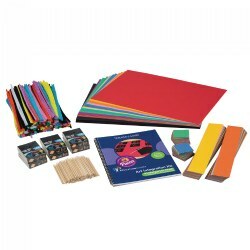 200 markers in 8 colors: red, orange, yellow, green, blue, violet, brown, and black. 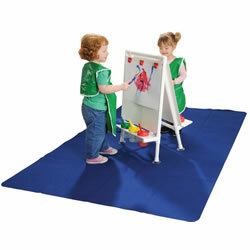 Save floor space with our new wall mounted easel. 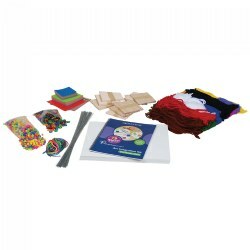 Attach to a classroom wall or on the side of a storage cabinet. Angled surface to allow paint from dripping or running. Built-in tray to hold paint cups (sold separately). Paint clips are not included. 2 years & up. 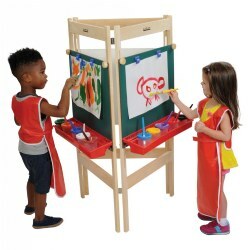 A creation station for two little artists! 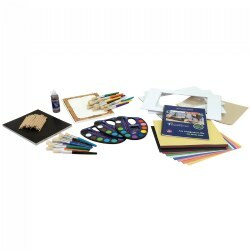 Each side has a magnetic/dry erase board, easel clips for holding paper, a handy tray for markers, crayons or other art supplies and a storage shelf in the middle. Use indoors and out. Paint brushes and cups are sold separately. 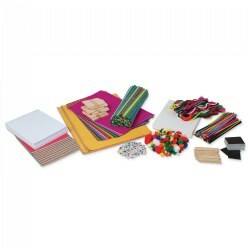 Designed to work with the Prestige Pro machine, dies feature a curriculum-based design to create many ideas for the classroom, including memorable visuals and essential hands-on activities. Dies measure 5 7/8" x 4 7/8" x 1". 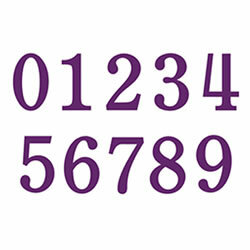 Set of 4 dies. 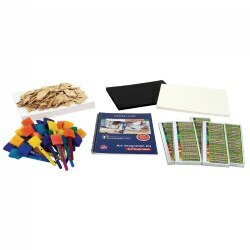 Designed to work with the Prestige Pro machine, dies feature a curriculum-based design to create many ideas for the classroom, including memorable visuals and essential hands-on activities. Dies measure 5 7/8" x 4 7/8" x 1". Set of 10 dies. 2 - 5 years. 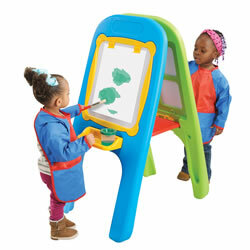 Perfect sized with suction cups that hold easel on the floor so it doesn't move around. 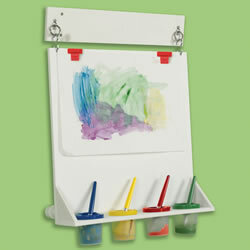 Paint cup tray holds 4 paint cups (sold separately) on each side which is just enough for beginner painters. 20" W x 31" H. Mat and paint clips are not included. 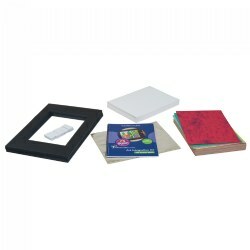 Tough multi-ply cord provides 37" of art hanging space. Folded dimensions are: 37"H x 25"W x 33"D.
Create an outdoor art studio!! 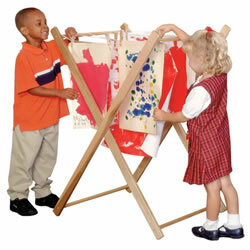 S-hooks hang this durable easel on fence at any height. Includes attachable basket to hold paints. The easy to clean surface will not weather from the elements. Minor assembly. Measures 20"H x 20"W x 5"D.